A Los Angeles weekly newspaper. Los Angeles Almanac Photo. If you do not see a weekly/monthly newspaper listed, check our Community Newspaper Groups page. Founded by Leon H. Washington, Jr., in 1933, the Los Angeles Sentinel has become the largest African American-owned newspaper in the U.S. West. Published since 1882, Bien is the only Danish weekly newspaper published in the United States. L'Italo-Americano, first published in 1908, is the oldest Italian American newspaper in the United States. Alternative newspaper Los Angeles Reader closed in 1996. Six years later in October 2002, another alternative newspaper, New Times L.A., founded the same year Los Angeles Reader closed, also abruptly closed. The owners of New Times and the owners of the L.A. Weekly worked out a marketing deal in which New Times L.A. was shut down in favor of the L.A. Weekly in exchange for a cash payment in the neighborhood of $1 million. Most of the 70 New Times L.A. staff members arrived at work on the day of the announced closing with no idea that their paper was to be discontinued. 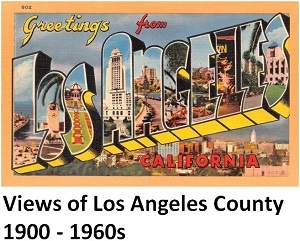 New Times L.A., the last issue being on October 2, had a weekly circulation of about 120,000.